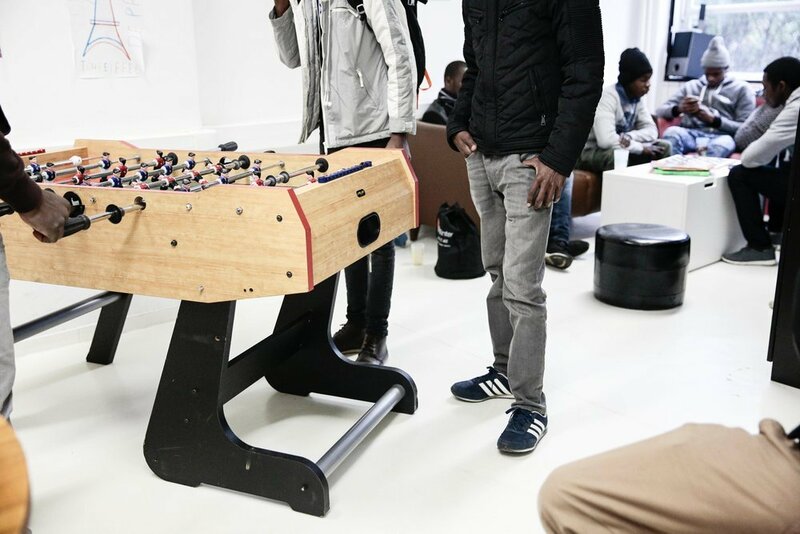 In the French capital, undocumented teenagers are getting legal, social and psychological help at a day center run by the medical charity MSF. The center, open since December, is also a safe space where they can get a break from their loneliness and life on the streets. A young man is asleep on a couch, curled under a red blanket. Next to him, another teenager didn’t even bother to take off his coat or backpack before lying down on a coffee table and closing his eyes. The two exhausted boys are resting at the day center run by the charity Médecins Sans Frontières (MSF), in the Paris suburb of Pantin. Each day, staff here open their doors to about fifty unaccompanied minors. The teens often arrive at the center exhausted by life on the streets. Most of these kids are boys who have not been officially recognized by French officials as juveniles. 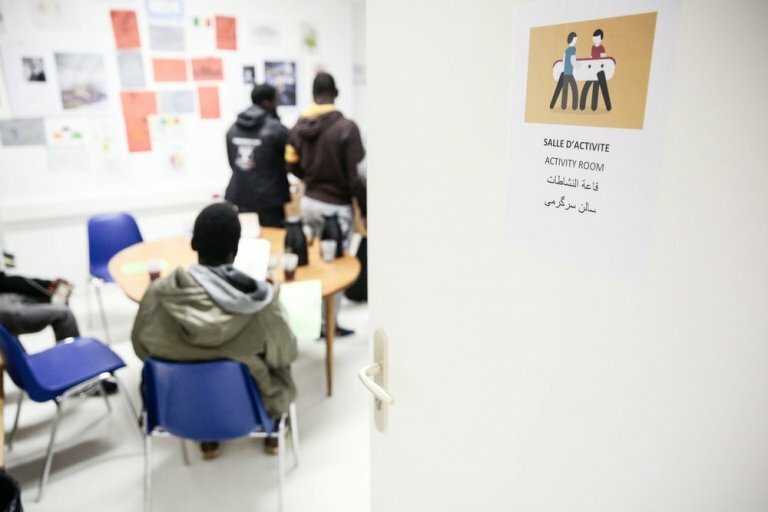 In France, if a judge recognizes a migrant as underage, then he is put in the care of a government body called Childhood Social Aid (Aide sociale à l'enfance, or ASE) and given access to resources and housing. But until that happens, the teen is left to fend for himself. During daytime hours, the boys can rest in the daylight-flooded center. However, when it closes shop at 5pm, they face another night outdoors. At the center, they can seek legal assistance in appealing the judge’s decision on their age. They can also meet with a psychologist, a nurse and a social worker. These services are in high demand, however, and the teens usually need an appointment to meet with staff. The center also has limited capacity and can only accept around fifty people a day. Samaté, who is nearing his 17th birthday, was dropped off at the center by Utopia 56, an association that helps unaccompanied minors. The boy, originally from Mali, is carrying his only possessions -- a black backpack filled with a few pieces of clothing and a document in a plastic sleeve. Caroline Douay, the MSF coordinator for Paris and its surrounding regions, takes a look at the document. "The judge for juveniles who heard his case didn’t think that he had provided sufficient proof that he was a minor. He refused to rule in his favor,” she says. The baby-faced teen will be able to stay in the center for a few hours. In the common room, a group of teens sit together, drinking coffee. Most are 16 or 17 and spend their nights sleeping rough. Occasionally, they might manage to spend a night or two in a hotel. Sometimes they are hosted by a family, if Utopia 56 manages to find them a homestay. 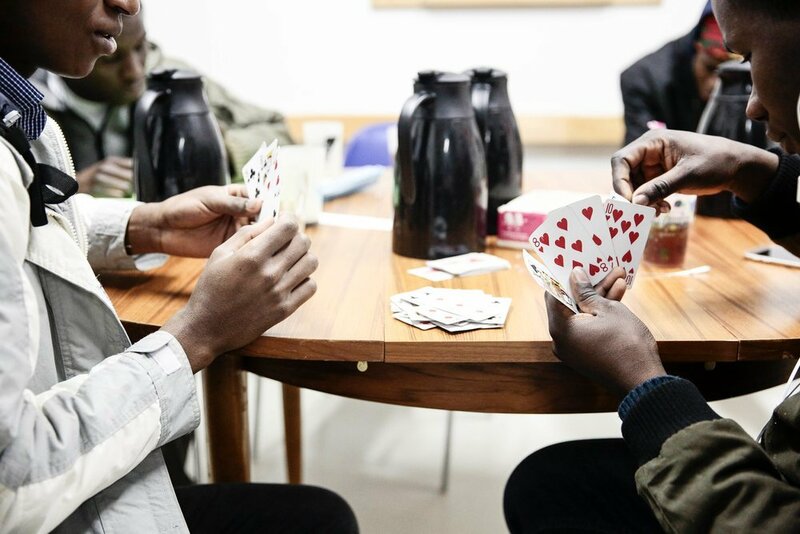 "Many of these young people feel like trash"
"All of them talk about a ‘before’ and ‘after’ the judge’s refusal to recognize them as minors," says Mélanie Kerloc’h, the psychologist at the MSF center. "When they file a claim to be recognized as juveniles, they give it their all, they speak intimately about their past. When they aren’t recognized as minors, they feel as if they were lied to." In her office, the psychologist meets with teenagers who are deeply distressed and traumatized by their experiences. Ibrahim comes to see the psychologist frequently. This 16-year-old from Equatorial Guinea, who wears a black anorak and an orange hat, has been sleeping rough for more than a month. He never thought he’d be in this situation. "When you are living in Africa, you think that France is a paradise,” he says. The young man is still waiting for a judge to decide if he is a minor or not. There is a chance that a happy ending could be right around the corner. A relative in Guinea was able to send him a copy of his birth certificate. Still, he remains worried. All of the teens at the MSF day center left home with big dreams. After traveling so far from their home countries, they are angry and upset to find themselves tangled up in an administrative impasse. Samaté and Ibrahim dream of returning to school. The young Malian wants to be baker, like his father. On the long journey to Europe, Ibrahim decided that he wanted to be a nurse. “When I saw people suffering, I wished so much that I could help them,” he said. For the time being, he is trying to help by dissuading his friends from making the same journey he did. They are still in Guinea but dreaming of life in France. The day center for undocumented youth is located at 101 avenue Jean Lolive, 93500 Pantin. Metro: Eglise de Pantin / Hoche (line 5). Opening hours: 9am – 5pm Monday, Tuesday, Thursday and Friday.